Congratulations to the Senior Mixed Table Tennis Team who became Kingston Champions on Monday 7 May 2018. The next round, the Southern Metropolitan Region Finals, was held on Monday 6 August at the Dandenong Table Tennis Centre. The following Senior Students Lucas Catherall, Ashley Hunter, Tae-Seong Kim, Andrew Wang, Wei Qi Xie and Ashleigh Hoffman defeated Nossal High School four matches to two in the Preliminary Final to reach the Regional Finals. In the Regional Finals, they defeated Frankston Secondary College four matches to two and Mornington Secondary College six matches to nil to reach the Final. In the Final they played against a strong Melbourne High Senior Team where they unfortunately lost five matches to one. Congratulations to these students being Runners-Up in the Southern Metropolitan Zone. 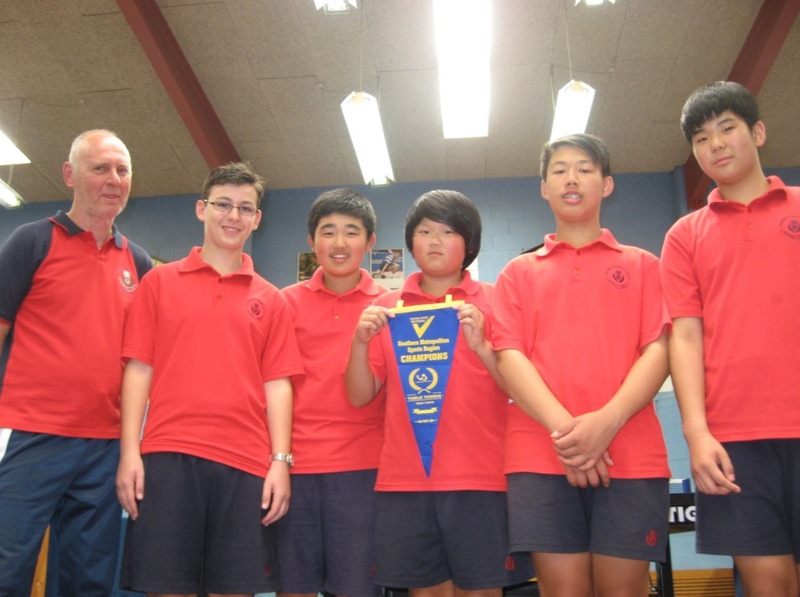 Two of these boys, Tae-Seong Kim and Wei Qi Xie have been playing Table Tennis every year since they were in Year 7. Every year the two boys have competed in the Southern Metropolitan Region Finals. 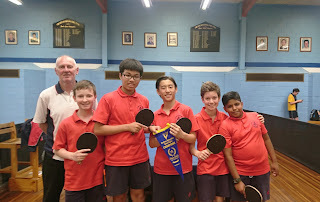 Congratulations to the following Year 8 Boys Haruku Nishikawa, Kevin Feng, Zong Yu Li, and Aaron Zachariah who became Kingston Champions at the tournament that was held on Friday 14 September at the Dandenong Table Tennis Centre. They defeated Bentleigh Secondary College, Mordialloc Secondary College, Sandringham Secondary College and Brighton Secondary College winning six matches to nil in all their games. In the Southern Metropolitan Region Finals held on Tuesday 30 October the following boys, Zong Yu Li, Kevin Feng, Aaron Zachariah, Marco Guo and Andrew Seamer defeated Kambrya College five matches to one in the Preliminary Final to reach the Regional Finals. 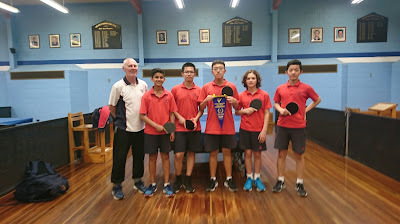 In the Regional Finals, they defeated Frankston Secondary College six matches to nil and Mornington Secondary College four matches to two to reach the Final against Glen Eira Secondary College where the boys also won four matches to nil. Congratulations to these boys for being Southern Metropolitan Zone Champions. They will be representing McKinnon in the Table Tennis State Final on Friday 30 November at MSAC. Congratulations to the following Year 7 Boys Kanato Sato, Kar Wei Kwong, Ashton Eikelis, Ryan Kaminsky and Shuban Balamurugan for becoming Kingston Champions at the tournament held on Sunday 18 September at the Dandenong Table Tennis Centre. In the Southern Metropolitan Region Finals held on Tuesday 30 October, the Year 7 Boys defeated Gleneagles Secondary College by the narrowest of margins. Both schools won three matches each so it came down to games won. The boys won 11 games to 10 games in the Preliminary Final so they progressed to the Regional Finals. 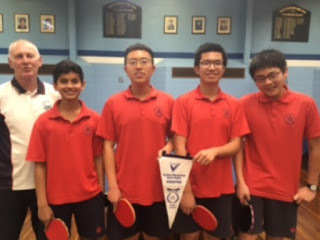 In the Regional Finals, they defeated Frankston Secondary College five matches to one and Mornington Secondary College five matches to one to reach the Final against Yavneh College where the boys also won four matches to two. Congratulations to these boys for becoming Southern Metropolitan Zone Champions!